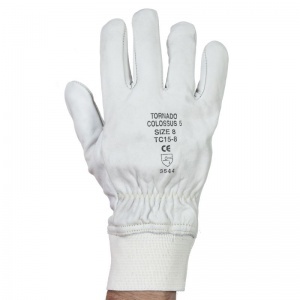 Combining the successful Colossus style with soft and flexible grain leather, the Tornado Colossus 5 Industrial Work Gloves TC15 provide the optimum combination of protection and comfort for high-risk industrial environments. 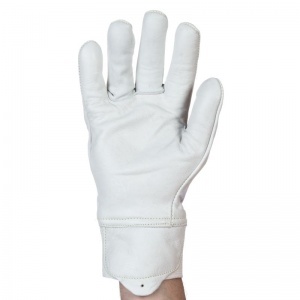 With a robust and durable design, the Colossus 5 are suitable for both indoor and outdoor applications. 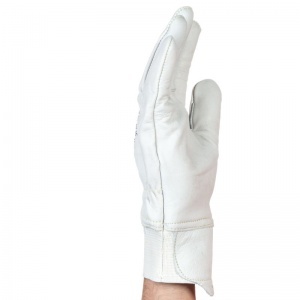 The product code for these gloves is TC15. 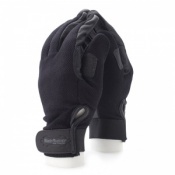 Composed of grain leather, the Colossus 5 provide formidable protection. 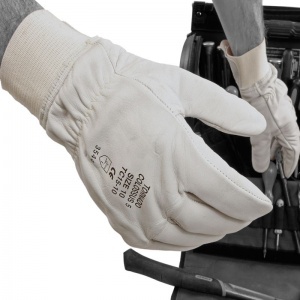 This is further enhanced by a blended, seamless lining, bringing the EN 388 cut resistance rating of these gloves to a maximum five. 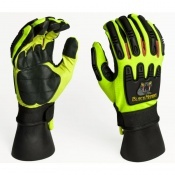 These gloves offer extremely high performance coupled with exceptional comfort and flexibility. The Tornado Colossus 5 Industrial Work Gloves are supplied in five different sizes. Please consult the table below for measurements and select the appropriate size for you from the drop-down menu above.